Mi Liberty secured 12th position in the Technology Top 40, after a steady 2008. Led by joint MD Dee Gibbs, the agency remains a key player in the mobile comms sector, netting new business from the GSMA, Qualcomm and i-mate during the year. An immersion in digital and social media has proved beneficial for the agency, which also expects diversification ot become an important trend in 2009. 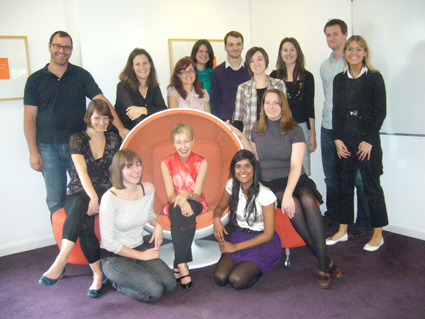 Sum up your agency's 2008 in three words: Best Team Ever! Staffing levels remained fairly static in 2008 with a lot less flux and headhunter calls! The level of expertise of the staff is high and we also saw a lot of good people available in the marketplace, so 2008 was good for hiring and solid for Mi liberty. 1. Qualcomm is one to watch as it continues to innovate, particularly in the mobile computing space; on the other end of the scale, small start-up company, me2me, is working with several operators on some very clever voice-controlled services. If consumers take to them – and research shows that they should – then it could add a whole new dimension to how we use mobile phones to organise our daily lives. Mi liberty has its own business division dedicated to the delivery of digital campaigns whether it be digital marketing or social media campaigns attached to a client PR campaign. A team of digital experts is available across the agency and on call to consult with clients about the best way to integrate digital aspects and more traditional communication methods to make campaigns stand out from the crowd. Mi liberty has developed a portfolio of services around social media and are making a profit on those services today. Our ethos is to ensure that we choose the right mix of social media activities to compliment our PR and marketing services for clients. We keep up to date by using the services, but also by working with our internal digital team and external consultants on the subject matter on an ongoing basis to ensure we are still on the right track. Mi liberty’s PR division began its life in a back bedroom. Dee Gibbs, the founder of the PR business left a high profile global corporate communications role on a Friday, launching Mi liberty’s PR business on the following Monday with one client. Thankfully, it worked! Mi liberty is recognized for its technology PR skills in the mobile communications sector, but the agency also represents technology clients in other technology sectors, including enterprise IT, broadcast and entertainment.